Sarah bas Dov Baruch a"h for a Aliyat Neshama. Sarah bas Boris (who was on our Tehillim list with her mothers name) was Niftar early Thursday morning, she is survived by 4 children, 8 grandchildren and 6 great-grandchildren. 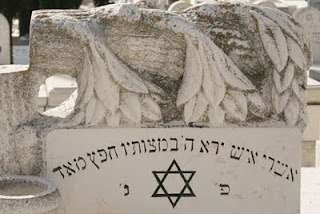 May her family be comforted amongst the mourners of Tzion. Thank you everyone for your support and for continuing to recite your Tehillim. Each week, we send out an email sharing positive Torah thoughts including deeper thoughts on Tehillim, the laws of Lashon Hara, concepts about faith and trust, Ahavas Yisrael, and more. It takes much time to prepare this beautiful email - but we trust that those reading it do thoroughly enjoy it. Become a partner with us, and sponsor the weekly email or a portion of it, in the merit of or memory of a loved one, or honor of a friend (family member).